Originally from Boca Raton Florida, Rachel comes from a family of designers, builders, and real estate investors. This background has shaped her easy ability to match people with homes, and has developed her a great sense of what will perfectly suit her clients, and their needs. After living in New York City for over 8 years, Rachel considers herself an expert on the pros and cons of living in its many neighborhoods. 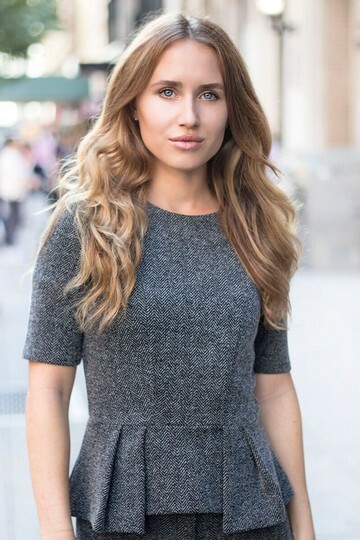 Rachel’s careers in modeling and the music business have brought her across the globe, and have taught her the importance of networking, meeting new people, and delivering an elite client service. As a result, she maintains a large volume of connections and resources across New York City and beyond! March 2019 by Jose P.
Rachel from Real New York is a great professional she help us a lot to find our apartment. We highly recommend her to work with you. She is very kind. Thank you Rachel and the best in your future! March 2019 by Joshuard G.
I worked with Rachel Rickert, best realtor I’ve dealt with in the city. Very flexible with her schedule to accommodate mine and made sure I got the best possible apartment within my price range.